Sometimes, caring about punctuation can be a burden, but this shop in the UK clearly doesn't have that problem. It appears that they noticed their mistake and tried to fix it to no avail. 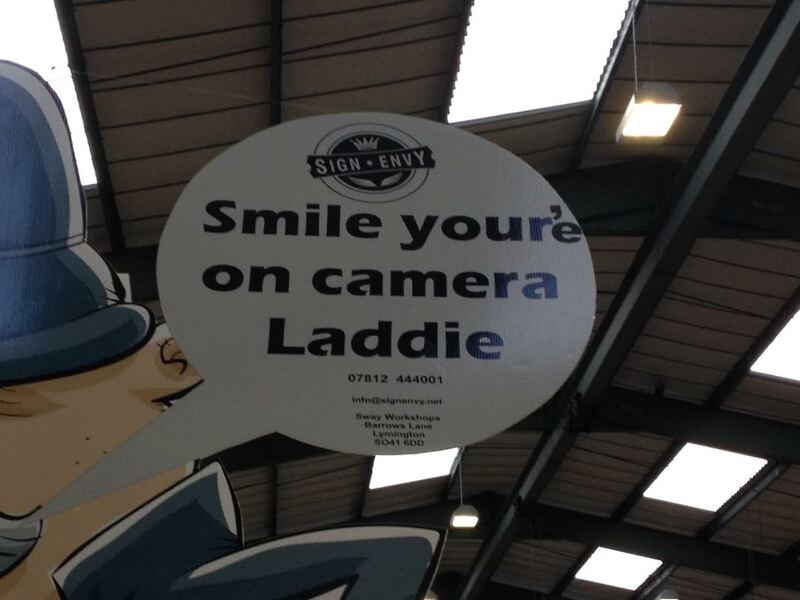 Thanks to Russell for submitting this apostrophe catastrophe. It seems the "'e" part is added after they printed the ad.